Every child has unique and specific needs when it comes to their education — but children with conditions such as juvenile arthritis may have an even more difficult time at school. Whether it is carrying loaded backpacks or heavy books, having trouble participating in gym class, missing school altogether, or sitting for extended periods of time in uncomfortable classroom chairs, it sure isn’t easy to be a kid with arthritis. Knowledge is key. It is important that teachers, faculty, and staff know what juvenile arthritis is, once a student is diagnosed. 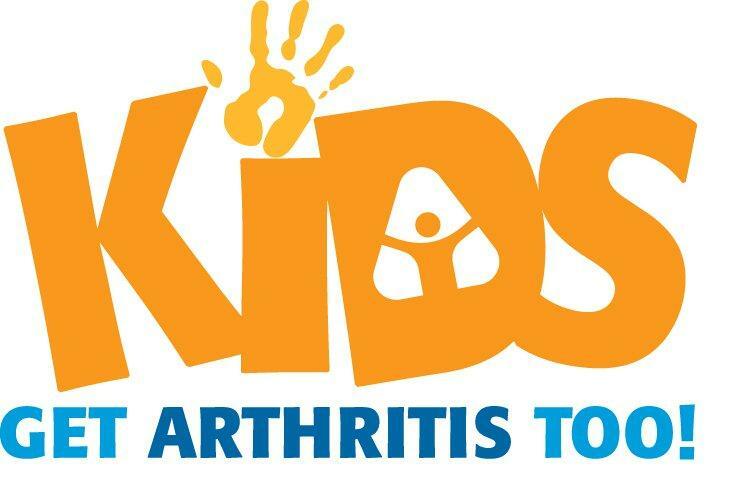 Juvenile arthritis is a general term for all types of arthritis, spondyloarthropathies, connective tissue diseases, and related conditions that occur in children from infancy through the age of 18. Juvenile arthritis normally strikes before the age of 16, and affects girls twice as frequently as boys. The levels of disability or impairment, strength or mobility, vary from patient to patient. Compassion from ALL Parties Involved! Regular education: In the traditional educational setting, the student is assigned to a classroom by grade level. Modification may be needed to this program, especially when the child is experiencing a flare. Regular education with modifications: The individual teacher can make modifications in the student’s classroom program. A more formal method is to go through the local school student support team to develop an individualized education program (IEP) or 504 plan, while accessing the student’s rights through Section 504 of the Rehabilitation Act or through IDEA (Individuals with Disabilities Education Act). Hospital and homebound services: Students who have frequent or extended absences may qualify for a teacher to work with them at home or in a hospital setting. This is typically established by contacting the Hospital/Homebound Coordinator in your school system or through the special education program. Local student support team: The student support team or similar group is composed of teachers and administrators in the child’s school. This group supervises plans for modifications of the regular education program. Many states require that students first be processed through their local school and that all modification options be exhausted prior to referral to special education. While notes and documentation are made about the student, some modifications are not legally binding. Please check with your local school principal to see what support efforts your school offers. Special education: About 27 percent of students with arthritis receive modifications through special education. Typically, they qualify for services in the Other Health Impaired category, because juvenile arthritis is a medical illness that can impact a student’s strength, endurance and stamina. To qualify for that category, a letter from the student’s physician is needed to identify the student’s medical diagnosis and how the disease impacts educational functioning. When a student qualifies for special education services, an Individualized Education Plan (IEP) is written that delineates specific goals, objectives and modifications for the student’s school program that are legally binding. Physical and occupational therapy are typically considered ancillary services in the school system. They are intended to support a student in an educational program. This is slightly different than a medical model, which intends to provide rehabilitation. This document may also help: The ABC’s of 504 Plans. It is worth a read and discusses what 504 Plans are, and how one parent helped her daughter to get one at her school. No child with arthritis, or parent of a child with JA, should face any kind of discrimination or contention from a school district when it comes to making changes or accommodations for a child with arthritis or other disability. This checklist can help you decipher whether or not your child should have a 504 Plan at school, and this article has even more information about enacting one. As the wife of an educator and having been a child with juvenile arthritis, I recognize the importance of these kinds of options in both school and in the workforce. It is important that teachers and fellow students understand the condition so that the child does not feel isolated or looked down upon — this is important, too, in the adult world. No one should face discrimination for their illness or disability, and it is important that parents of Juvenile Arthritis patients – as well as adult patients with arthritis – know that there is help available to help you live the best life you can, even with arthritis. For more information on getting a 504 Plan or other accommodations for your child, please contact your school district, the U.S. Department of Education, or, your local Arthritis Foundation office. And good luck! Remind your child that there is nothing wrong with being different – we all face unique struggles and we all have unique gifts to give. Tags: 504 plan, Accommodations, adaptations, advocacy, AF, Arthritis and Education, Arthritis Ashley, Arthritis Blog, Arthritis Foundation, Arthritis in School, Ashley Boynes-Shuck, Awareness, childhood arthritis, Childhood Diseases, childhood illness, Chronic Illness, Connective Tissue Disease, Dealing with Juvenile Arthritis At school, Department of Education, Disability, education, Educators, Health, IEP, Individualized Education Plan, JA, JA Resources, JIA, JRA, Juvenile Arthritis, Juvenile Arthritis and 504 Plans, Juvenile Arthritis and School, Juvenile ARthritis Patients, Kids Get Arthritis Too, Mid Atlantic AF, Mid Atlantic Region, Parenting, parents, Resource, Rheum, Rheumatoid Arthritis, school, Special Needs, Spondylothropathies, Teachers, The Arthritis Foundation, Wellness. Bookmark the permalink. What about Private Christian schools? I have been trying to work with my daughters SChool this Last year, but the teacher was horrible. Are they bound by the 504 act? I have been trying to find out. My daughter was diagnosed with JIA at the age of 14. She went from a vibrant student, Girl Scout to bed ridden in 1 week. It took us 2 hours preparation to get her ready to get up to pee. She missed a half year of school. When she did return they were ready for her. She admitted and discharged early to keep her safe in the busy hallways. A friend was given the job of moving her between classes and caring her book bag. The teachers she worked with were all put on the same wing. She had textbooks supplied for home use and she had a textbook that was left in each class, so no heavy books to carry. Later they purchased all her texts on cd rom so no texts to carry at all. She was removed from physical education class., this upset the instructor but her joints were too flamed to allow that much movement. Once in high school she was assigned a pass to use the handicapped elevator. If she could not attend school she was hooked up by her lap top and pad to be able to participate. The teacher could talk to her and she could respond either verbally or by writing her solution on the pad and it would appear on the class room video screen. Much more was done… She was able to graduate with her peers, she was able to attend the prom and dry grad…all with support of the school and staff. And at grad she received many scholarships and these were announced consecutively so she did not have to get up more than once. A lovely experience all in all….now I can not say the same for university of Victoria….after many easily solved issues I finally had to tell them shape up or I am going to take the university and the disability department to the human right court….they asked me to give them more time to solve things. Third year has been better for but then really she is only a month in.